Considering that this platform has quite a modern and in-the-moment layout, you might be quite surprised to discover that BetClic has been around since the year of 2005. 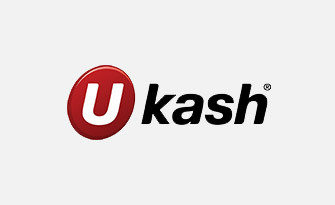 And furthermore, not only does it offer its registered users the possibility of playing a few casino games, but it also provides the chance to place a few sports betting wagers, or play a few hands of poker via the relevant other sites with its name on them. 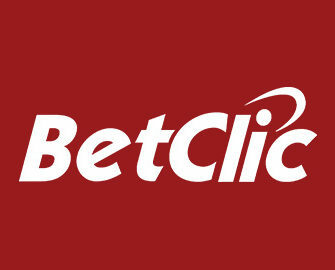 The site itself is owned by the BetClic Limited company, which is based in Gibraltar. As such, it holds a gambling licence from the jurisdiction of the same country, whilst simultaneously holding a second one from the United Kingdom Gambling Commission. In addition, the site caters to a larger array of players, offering its casino up in Portuguese, Dutch and Polish, alongside the standard English. As far as the home page of the site itself is concerned, you’ll find that the highest quality of graphics have been integrated into it, providing a visually pleasing layout on the whole. Navigation to the other previously mentioned gaming sites of BetClic is easily done with the links across the top of the screen, while all of the games that are offered for players to access can be seen at the bottom of the website. The more that you scroll down the page, the more games load up, although this can be quite time consuming, so if you know the name of the game you would like to play, there is a search box to make use of instead. You’re also able to view the current jackpot totals and the latest winners via the home page as well. Of course, one of the things that appeals to many players about online casinos is the fact that you’re able to claim one or more promotions, especially upon signing up to them. 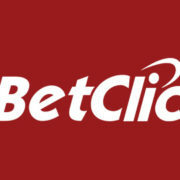 BetClic also has its own options in this area, although new players aren’t specifically catered to as they are in many other online casinos. Instead, there are promotions available for all players to take advantage of, whether new or frequent. These include the ‘Gold Rush Bonanza’, which requires you to play 50 rounds on the Gonzo’s Quest video slot game from NetEnt. This will then provide you with a €10 bonus as a reward. The ‘Friday Bonus’ offer rewards you with a cash back amount of 5% whenever you play the selected slot games on Fridays, while the ‘Wednesday Game Rush’ entitles you to also play certain selected slot games in order to win up to 50 freespins on them. In addition to these kinds of promotions, you’ll also receive mailers to your email inbox, giving you special codes to use when making deposits in order to receive a percentage bonus on top, as well as additional freespin and cash back offers for you to take advantage of at your own leisure. There are a few different software developers who provide their games to this casino, with popular brands like the aforementioned NetEnt, as well as Microgaming and Evolution Gaming being joined by others such as Yggdrasil Gaming and Quickspin. With this being the case, you’ll find that there’s a very healthy selection of products able to be accessed when you’re a member of the site, with slot games providing the majority of such, as is usually the case. Such titles as Starburst, Frozen Inferno, Koi Princess and Bust the Bank are all incorporated into the games lobby. And furthermore, there’s a choice of progressive jackpot games integrated into proceedings as well, such as the well-known Mega Moolah or Arabian Nights. Not only that, but BetClic also provides its players with a live casino, meaning that you’re able to access various different tables games, such as baccarat and blackjack, with a live dealer and authentic casino atmosphere in play. However, if you prefer to play the standard digital table games, there are 10 of these available to access alongside, while video poker is provided via a selection of eight different games. There are a few different payment solutions on offer to you whenever you’re ready to fund your online account at BetClic. These exist in the form of Visa and MasterCard products, such as credit and debit cards, while eWallets are also able to be used from both Skrill and NETeller. And in addition, for those players who prefer to make use of Paysafecards, these are very much accepted too. 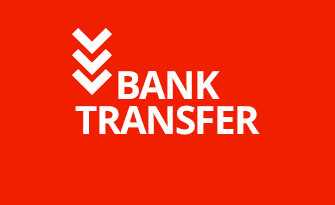 Otherwise, you’ll need to make use of a bank transfer instead, and the vast majority of these payment methods can also be used to withdraw winnings from your account. If you ever need any help along the way at this site, there’s both an FAQ section and a ‘Dictionary’, if you need to come to terms with some of the terminology used in certain games. If these aren’t of any assistance to you though, you can contact the customer support team, and they’re reachable in the first instance via a live chat feature. Should this not be suitable for you, you can either fill out the contact form included on the site, or send a direct email along to [email protected]m instead. 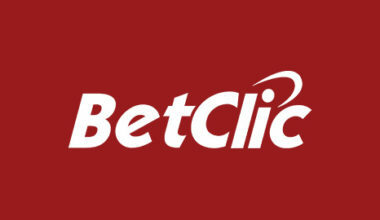 BetClic isn’t as heard of as some of the other online casinos that have been around for as long, but it still provides its own fair share of appealing qualities. The large choice of products that you’re able to play is one perk, but so is the fact that regular players aren’t overlooked for newcomers, with all gamers getting the same benefits.